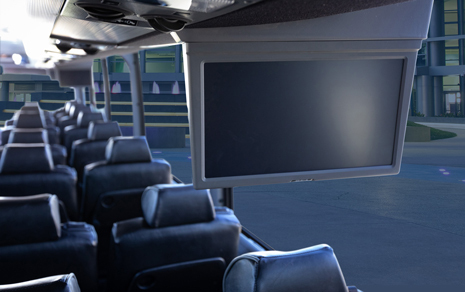 Every Luxury Motorcoach at BEST-VIP Chauffeured Worldwide includes six 10” LCD Overhead Monitors, iPod connectors and reading lights for your entertainment pleasure. 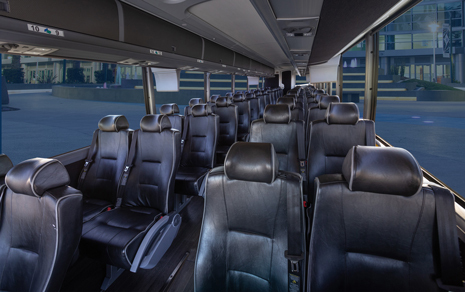 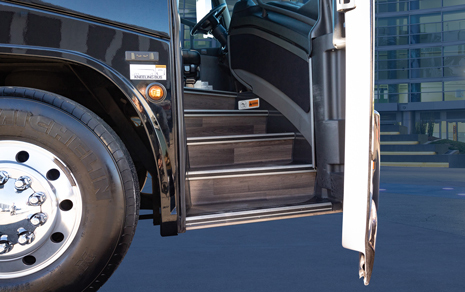 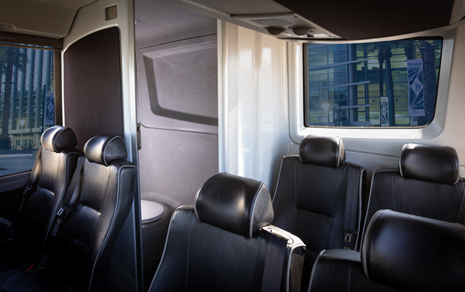 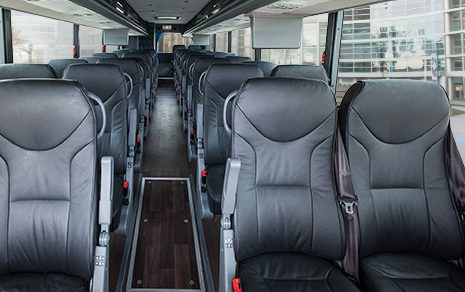 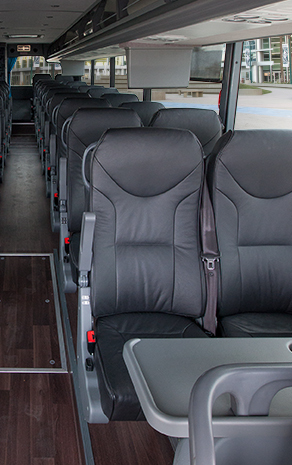 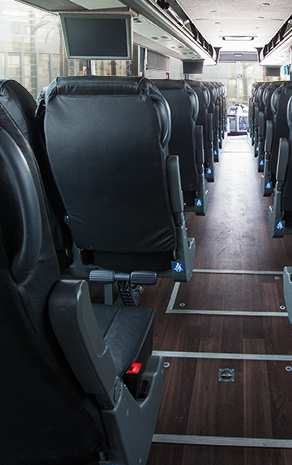 To keep you comfortable, each luxury coach bus has comfortable seating, foot rests, and personal window shades. 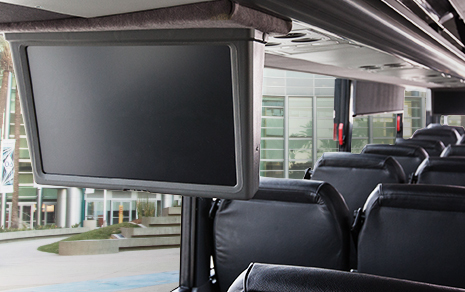 Safety is a top priority at BEST-VIP, and every motor coach has 3 point seat belts. 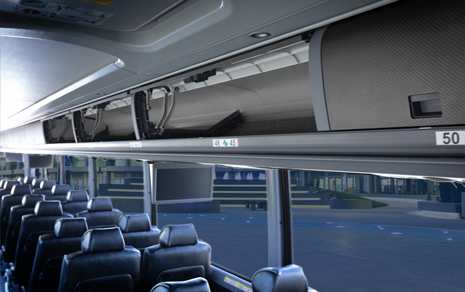 You don’t need to worry about space; both of our 40 and 50 passenger motor coaches have 452 cubic feet of luggage storage. 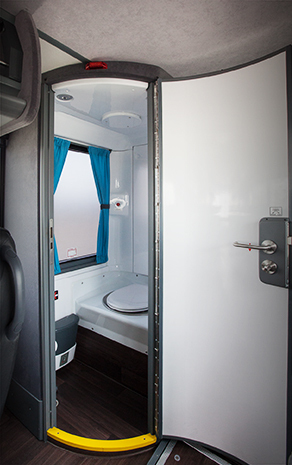 For those emergencies, every BEST-VIP Motorcoach has a restroom. 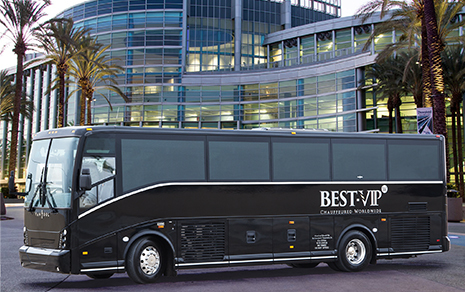 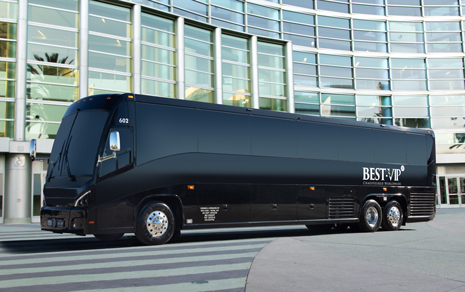 Make BEST-VIP the choice for your next luxury Motorcoach rental. 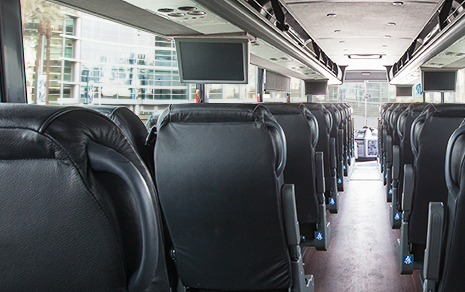 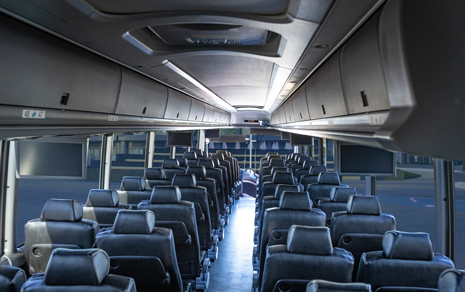 Whether you need group transportation for your executive conference, or you need to book a coach bus for a private tour, find out why we are Southern California’s top choice for luxury Motorcoaches. 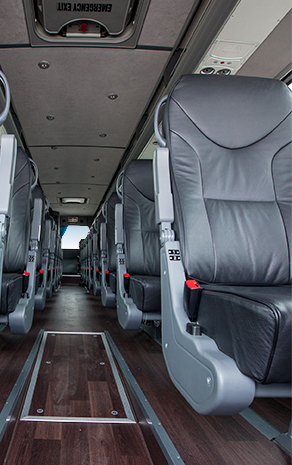 Call today with questions or to request a quote for the best motor coach service in Los Angeles and Orange County.